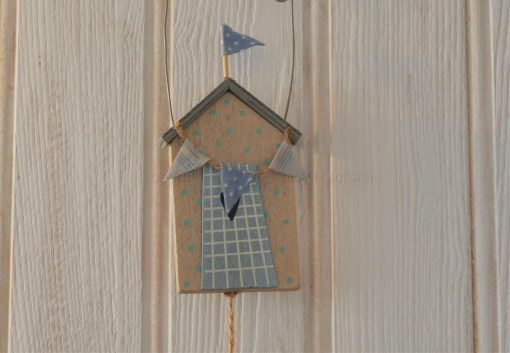 A sweet little wooden beach hut decoration in a rustic blue and white, with some fabric embellishments. underneath the beach hut there is a jute string with two wooden fishes and beads with a metal blue bells. 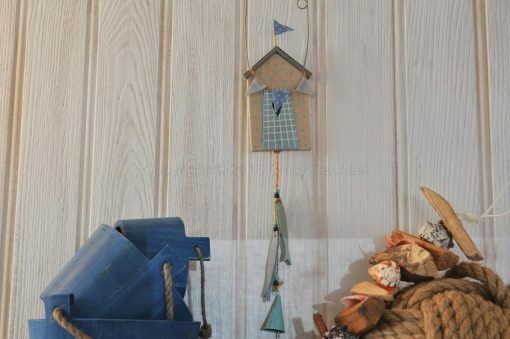 A stunning seaside garland that would look lovely hung on a wall in any themed room. 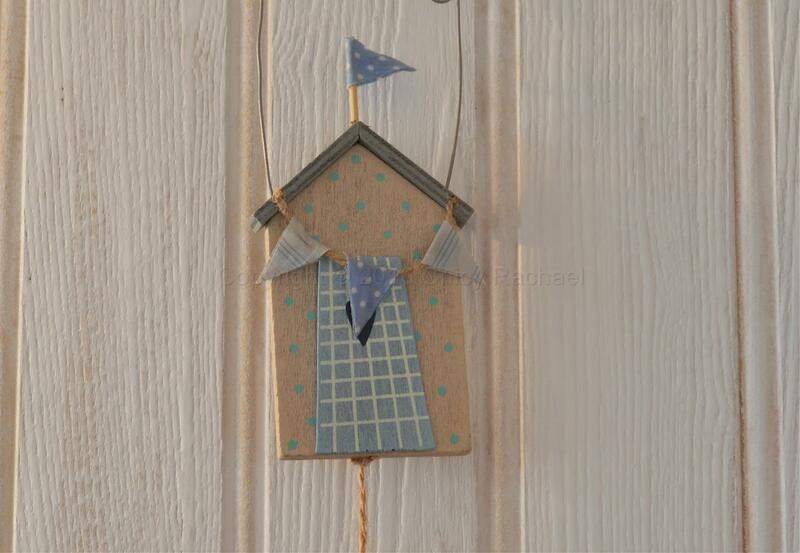 It has a thick grey wire for hanging.